Frick Transfer is your one-stop solution for all your moving requirements. Family owned and operated since 1917, we have been providing residential moving service for needs large and small. We are a ProMover (AMSA) business, with the ability, experience, and expertise to do it right and do it quickly. Wherever you go, let us move you there. 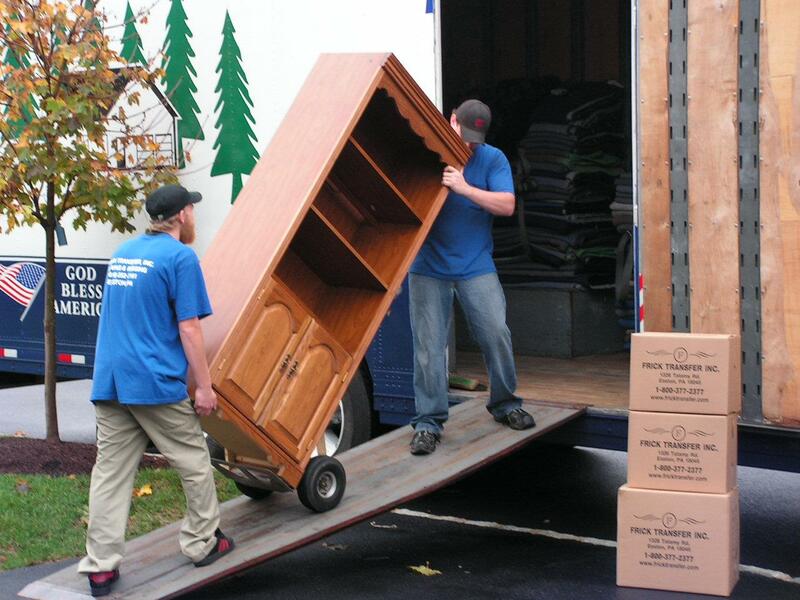 Frick Transfer is a turnkey operation offering packing, storage and large and small residential moving. And pack up those worries as well, we are fully insured and licensed and with #1 Customer Service you’ll see why we make moving easy! Moving to Florida? That’s our specialty! The below link explains what you have a right to expect from your moving company and what you should do to help ensure that your move is a “stress-free” one. This website has been created by the Federal Motor Carrier Safety Administration and contains legal and helpful information concerning Household Moving. If you are unable to access this website, call our office at (610) 252-2161 and we will be happy to supply you with the booklet, “Your Rights and Responsibilities When You Move”. We also, have other booklets and brochures we would be happy to supply you with at your request. ▶ Do you need Industrial Moving?